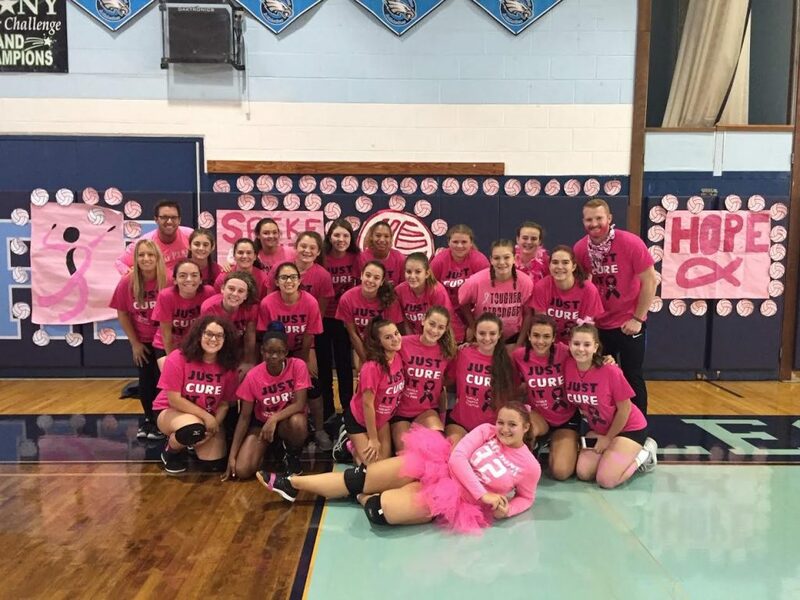 Rocky Point High School junior varsity and varsity girls volleyball teams recently hosted their 10th annual Dig Pink Breast Cancer Fundraiser. The entire district contributed to the success of this event and the community has embraced this event as one that defines the quality of their character. A giving, selfless, uplifting, supportive and strong team of individuals. The young women of the volleyball program and their parents continue to, year in and year out, exceed expectations. In an era where cancer permeates the airways, Rocky Point’s athletic community and beyond regularly stands united in their quest to honor those who have fallen, stand with those who are fighting and admire those who have survived. In 2018 alone, the Rocky Point School District raised more than $4,500 for the cause, bringing their 10-year total fundraised to more than $65,000. Special thanks to visiting teams from Longwood and Amityville high schools who joined the district’s event and to all those who played a vital role in the success of the program, including parent volunteer Laura Wheeler and teachers Kelly Calamita and Maria Amoscato. The teams are coached by Conor Sussillo (varsity) and Kevin Parker (junior varsity). Photo caption: Rocky Point High School volleyball teams hosted their 10th annual Dig Pink Breast Cancer Fundraiser.